Smoked salmon, cream cheese, tortillas, chives and a splash of lemon juice. That’s all you need to make these smoked salmon pinwheels. This is a great example of the “whole being greater than the sum of its parts”! Aristotle was definitely not referring to these party appetizers when he expressed his views on synergy, but I couldn’t think of any other way to describe them. This simple combination of flavors just works. I have to say that I usually make these smoked salmon pinwheels with dill, but I have chives growing in my backyard and I couldn’t wait to start using this wonderful herb. Along with my Tomato Basil Oregano Bruschetta, this is another simple recipe that I will often make as an appetizer when I’m playing host to friends or family. They also work well on any brunch table and they’re so convenient for that picnic lunch. The preparation can be made up to a day before you need them. Take a good look for how pretty they are while you can – I guarantee you that they’ll disappear before your eyes. I discovered this recipe a long time ago – in the May 1998 issue of a magazine I used to subscribe to, called Homemaker’s. 1998 was around the time when my husband and I first started hosting big, big get-together’s for family and friends. I remember being so nervous those times, and making lists and lists of stuff to buy and stuff to prepare and then lists of the lists to keep them all organized – it was endless! This recipe always brings a smile to my face because it reminds me of that time, over twenty years ago now, when I was so, so nervous about entertaining! The original recipe also calls for onions and capers. I am not particularly fond of raw onions (I find them too overpowering), so I omitted them. I usually omit the capers as well, simply because, if I bought them, they wouldn’t get much use in my household apart from this recipe. Don’t want to be too wasteful! Summer get-togethers are so much fun! But so often we hosts and hostesses get stuck in the kitchen while everyone else has fun. This recipe for Smoked Salmon Pinwheels is so simple, you will finally be able to enjoy your party just as much as your guests do! Do you have any appetizer recipes that are quick to assemble? I’d love to hear about them! 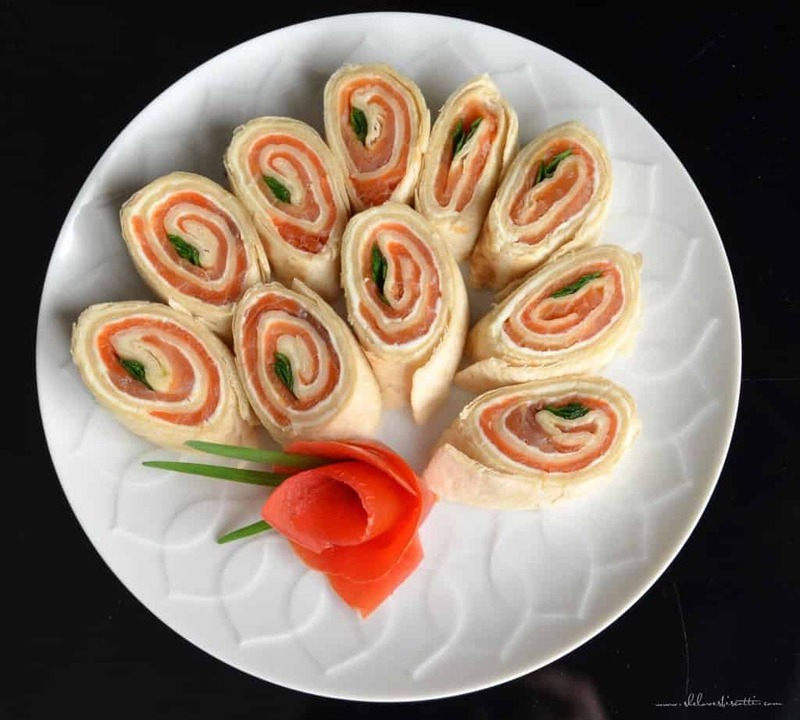 ★★★★★ If you have made these Smoked Salmon Pinwheels, I would love to hear about it in the comments below and be sure to rate the recipe! This recipe for Smoked Salmon Pinwheels is so simple, you will finally be able to enjoy your party just as much as your guests do! Spread approximately 2 tablespoons of softened cream cheese on the tortilla. 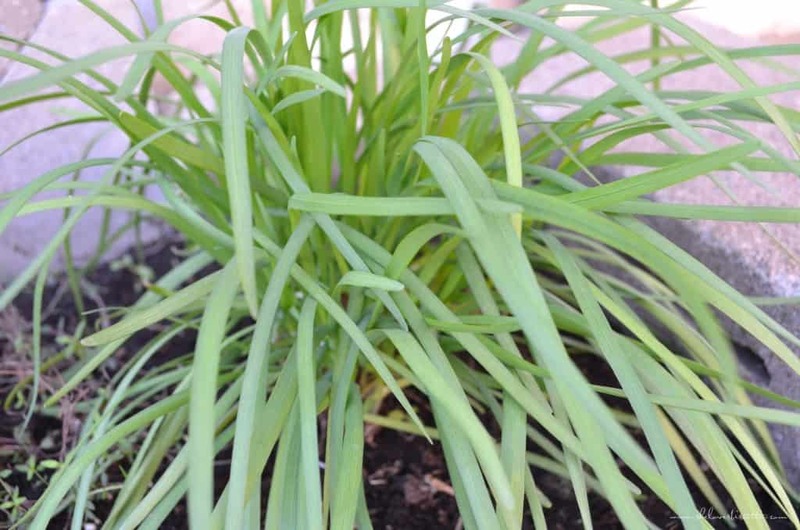 Place chives, in a bunch, over the salmon. Squeeze a little lemon juice over the salmon. Roll up tightly and wrap in saran wrap. Place in refrigerator for at least a few hours or overnight. Unwrap and cut on an angle in 1/2" slices. Each serving is two (1/2 inch) pieces of the salmon pinwheel. Repeat the procedure to make the amount of pinwheels that you need. IF YOU ENJOYED THIS SMOKED SALMON POST, SAVE IT FOR LATER. PIN IT TO YOUR APPETIZER BOARD! Quick, simple, and delicious! I sprinkled mine with a dash of dill…my guests loved them.